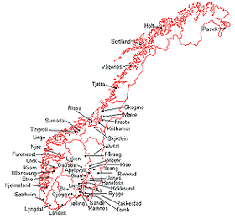 A network of 52 automated weather stations in Norway is operated by the Norwegian Crop Research Institute. The main goal of the network is to reduce the use of pesticides, resulting in better crops at lower costs in a better environment. Data from the stations is used in forecasting models that seek to provide early warning of conditions such as apple scab, potato late blight, cabbage moth, cereal diseases, and turnip moth. The stations measure air temperature, relative humidity, wind speed, leaf wetness, and global radiation. Some stations also measure rainfall, soil temperature, and sunshine duration.